Sondrio [ˈsondrjo] listen (help·info) (archaic German: Sünders or Sonders, Latin: Sundrium, Italian: Sondrio, Lombard: Sùndri, Romansh: Sunder) is an Italian town and comune located in the heart of the Valtellina. As of 2012, Sondrio counts approximately 21,876 inhabitants (2015) and it is the administrative centre for the province of Sondrio. 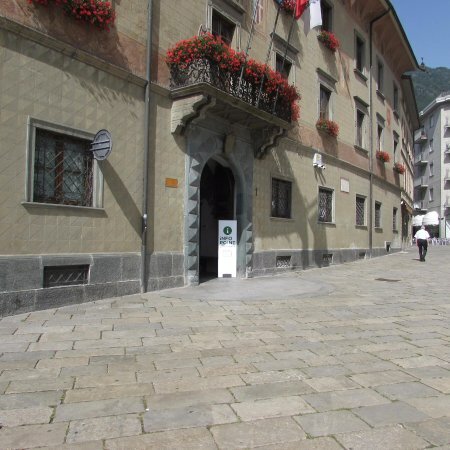 In 2007, Sondrio was given the Alpine Town of the Year award.